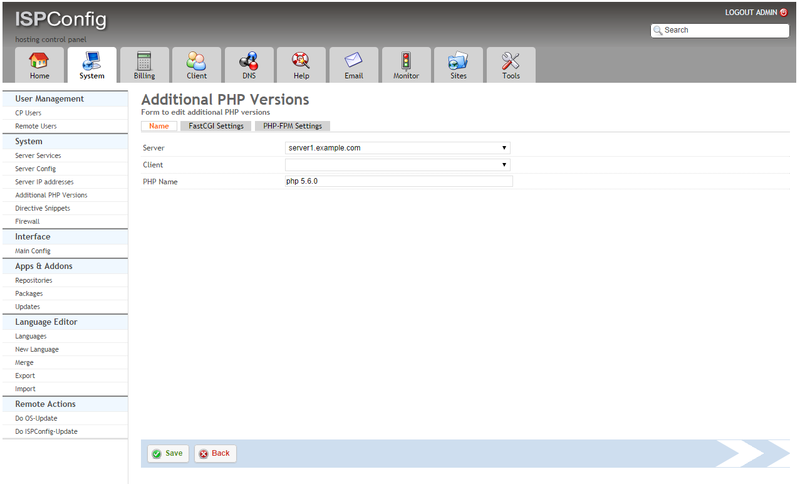 I will install PHP 5.6.36, the latest PHP 5 version at the time of this writing. I will also show how to build some additional PHP extensions such as APCu and memcache. The ioncube loader is not available for php 5.6 at this time, so I will leave out that step. PHP-FPM and FastCGI are mutually exclusive in PHP 5.6, that's why I show two ways of building PHP, one for PHP-FPM, one for FastCGI, however you can compile PHP twice to get both, one time with --enable-fpm and one time with --enable-cgi (make sure to use different base directories, such as /opt/php-5.6.36 for PHP-FPM and /opt/phpfcgi-5.6.36 for FastCGI). Starting php-fpm [29-Aug-2014 13:21:12] WARNING: Nothing matches the include pattern '/opt/php-5.6.36/etc/pool.d/*.conf' from /opt/php-5.6.36/etc/php-fpm.conf at line 528. I got an error: configure: error: xml2-config not found. Please check your libxml2 installation. and on make: make: *** No targets specified and no makefile found. Stop. 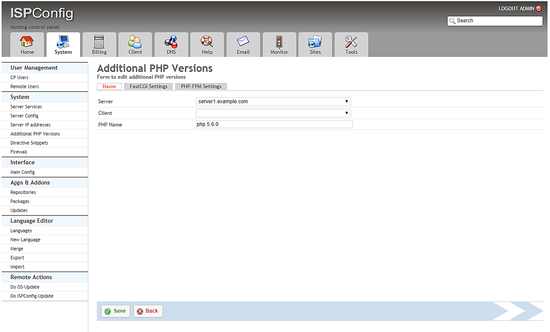 Hello, What is the procedure to follow to upgrade to version 5.6.7 php. Best Regards. Quel est la procédure a suivre pour upgrade en version php 5.6.7. After having done all this stuff. What should I change into NginX config tu use the new php version ? You change nothing in nginx conf. Login to ispconfig, go to the website settings and select the new php version in the php version select field, then press the save button. Hi, why is there (page no 2) some duplicate content from page 1? On page 1 you compile a php-fpm version, on page 2 a php-fcgi version of PHP. If I comment this line, fpm starts, but PHP version in ISPconfig doesn't work. and compiled with it. Same result. I found the same error but it was some lines i add manually in "php directives" tab in ISP Config. I remove all manual directive and it works well after (then i put back my config line by line and find where was my error). Hi, I've followed this tutorial and got PHP 5.6.16 working but I have an issue, afther choosing this version the timezone of the web using it, has 5 hours more than my actual timezone, so how can I change this and make it fit with my actual TimeZone? Not working for me. 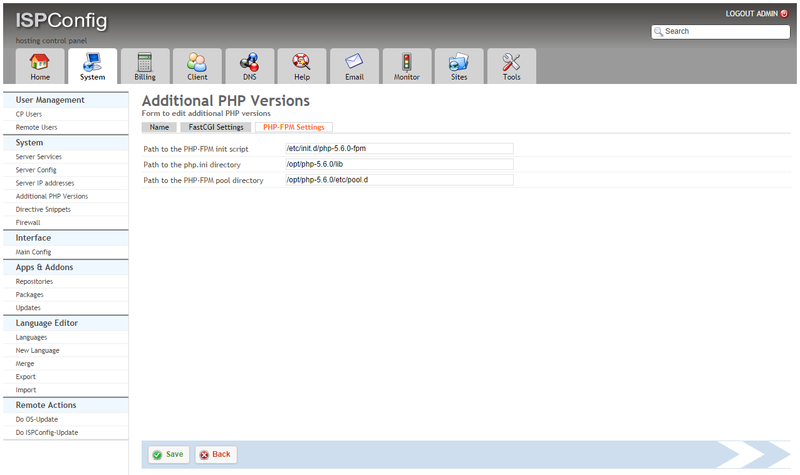 I select the php version in the domain tab and click save. 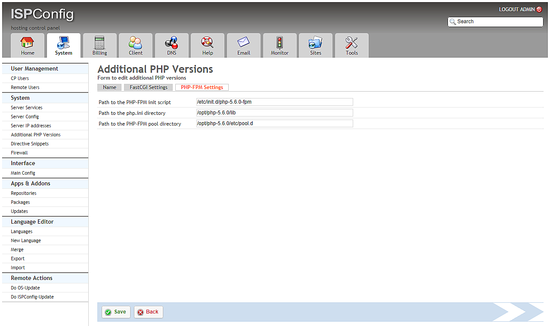 Then, open a phpinfo page that shows i'm using the default version of PHP instead the installed one. could you configure this for centos 7? Thank you. This saved my life.